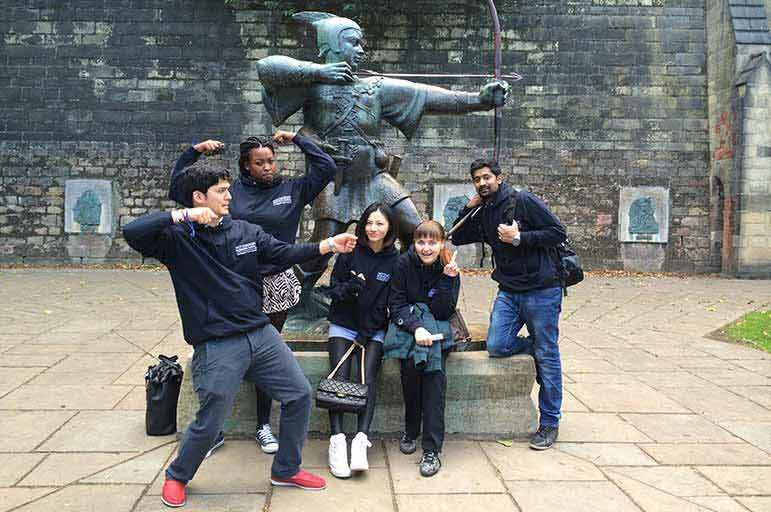 Preparing for an NTU open day will help you to make the most of your time here. We’ve summarised everything you’ll need to know about getting to – and around – Nottingham, whether it's by bus, train, or car. NTU has four campuses, based in and around Nottingham. Once you’ve booked onto an open day, you'll be visiting the campus that hosts the course you’re interested in. You’ll receive either an email communication or an official programme before the day, confirming which campus you need to go to. Select the appropriate tab below, to find out where they are, and how to get there. If you need any specialist support, facilities or equipment on your visit, let us know on your booking form, and we’ll make sure you get to make the most of your day. You can also email us, to discuss any requirements you may have. Download a map of the City Campus. Download a map of the city centre. If you’re planning on travelling by train, timetable information is available from National Rail. Nottingham Station is only a short walk from the city centre. Once you’ve arrived, our City Campus is best reached by tram - follow the signs from your platform, and head north on the Phoenix Park or Hucknall lines. The Nottingham Trent tram stop is less than 10 minutes away. Prices: £2.20 per adult (single), £3.50 (return), £4 (unlimited day ticket) a £1 short hop’ ticket will get you a single trip between Nottingham Station and NTU. At weekends, groups can purchase an ‘Off Peak Group ticket’, allowing travel all day for two adults (over 16) plus three people up to the age of 16 for £5. Make sure that you’ve purchased your ticket at the tram stop, prior to boarding. Frequency: Trams leave from Nottingham Station every 7-10 minutes. Coach and Megabus services are located on Station Street, beside the train station. As above, you can take a tram north from the station, to our Nottingham Trent stop. The NET site includes all the information you’ll need for fairs, timetables, and maps. We recommend using Nottingham’s Park and Ride services, as parking in the centre can quickly become expensive. Visit the NET site for more information on the city’s Park and Ride services. East Midlands Airport is just 15 miles from Nottingham city centre and there is a dedicated bus service between the airport and the city centre. If you’re planning on coming by train, timetable information is available from National Rail. Nottingham Station is located approximately four miles from our Clifton Campus. A free bus service will be running from the railway station to Clifton Campus every 15 minutes from 8.30 am to 11 am and 2 pm to 4.30 pm during open days. In between these times it will run every 30 minutes. You can catch the bus just outside the railway station at bus stop number S2, on the right, near the Gresham Hotel signs on Carrington Street. Look out for the NTU open day bus. 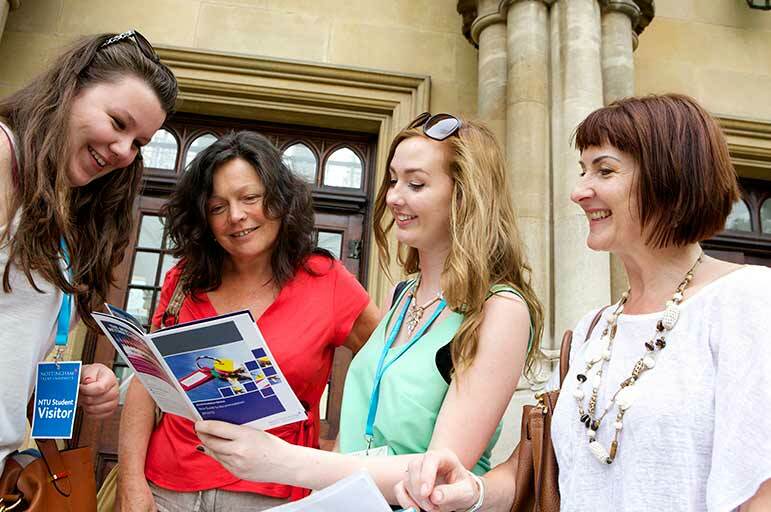 A city centre map will be available in the Clifton Campus Open Day Guide. Coach and Megabus services are located on Station Street, beside the train station. As above, you can pick up the bus to our Clifton Campus from the S2 bus stop on Carrington Street. The satnav postcode for our Clifton Campus is NG11 8NS. Ample parking is available on site for all our visitors. Download a map of Brackenhurst Campus. If you’re planning on coming to one of our open days by train, timetable information is available from National Rail. The closest station to our Brackenhurst Campus is Lowdham. NCT’s 100 bus line will take you directly to our Brackenhurst Campus – an adult’s return ticket costs £6.20 The bus departs from King Street, just off the Old Market Square. Buses leave every 30 minutes, and the journey is 45 minutes. If it’s your first trip to Brackenhurst, ask the driver to let you know when and where to get off. Brackenhurst is located roughly 14 miles north-east of Nottingham city centre – the campus postcode is NG25 0QF. Ample space is available in the Bramley car park, for all of our visitors. Nottingham railway station is around 15 minutes away from the campus, on foot. A number of bus services running in and out of the city centre stop along Lower Parliament Street (Blue Line 39, 40, 41, 42; Lilac Line 24, 25, 26, 27; Red Line 43, 44 and the 100 Pathfinder) and King Edward Street (Pryzm stop - Blue Line 39, 40, 40B, 41, 42). Timetables, fares and routes can be found on the Nottingham City Transport website. Taking junctions 24, 25 and 26 of the M1 motorway will all lead you to Confetti. The postcode is NG1 3LL. Find out more about what's on offer in Nottingham, and across the county. Visit the Nottingham Travelwise website for the latest traffic and travel news. See the Experience Nottinghamshire website to find out what's on offer. If you’re exploring the city for the first time, check out our fantastic guide to Nottingham. Drop in to Nottingham Tourism Centre on Smithy Row, if you need any more information about the city once you’re here. If you’re planning to spend the night in Nottingham, you’ll find information on hotels in the area on the Visit Nottinghamshire website.